August 10, 2005: Barring under-age aspirant players and protecting addicted gamblers from harming themselves financially is at the center of the latest initiative launched by self regulatory body eCommerce and Online Gaming, Regulation and Assurance (eCOGRA). The 56 major online casinos and poker rooms bearing the organization’s seal will be implementing specific in-house policies and a comprehensive range of independently enforced requirements designed in collaboration with the G4 responsible gambling group. The introduction of the regulations follows an intensive training session for seal casino managers which took place recently, and cover a wide spectrum of problem gambling activities from warning under-aged players off to excluding gamblers with a problem. All sites will be required to carry a prominent Responsible Gaming section in which the dangers of under-age and problem gambling are explained. 7 day “cooling off,” 6 month self-exclusion or deposit limiting mechanisms will be provided for gamblers who suspect they may be in difficulties. Staff will be on the alert for playing and financial patterns that may indicate an addictive gambler. Scientifically developed, short self-help diagnostic questionnaires will be included together with links to problem gambling assistance bodies around the world. Training programs are being set up at each casino to give staff tuition on how to identify and handle problem gamblers, and the use of ID verification technology as part of the registration process has been formalized, although this is already in use at many operations. Special attention is being devoted to preventing underage gamblers from getting through the casinos’ screening processes, using the latest technology, ID techniques and strong warnings that underage players will be disqualified and barred. The new requirements caution marketing departments of seal casinos against sending any promotional or marketing literature to any player who may be a problem gambler, or those who are underage, or using media primarily targeted on teenagers. “Play for free” games on the sites will be linked to the same age restriction, responsible gaming and player protection information as the “real money” sections. 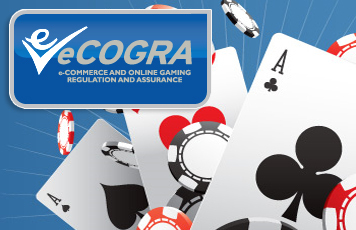 eCOGRA has taken the position that players must be of legal gambling age in their home jurisdictions, but has in any case set an absolute minimum of 18 years. CEO Andrew Beveridge says that the new initiative is one of the most comprehensive and widespread responsible gambling efforts yet seen in the online gaming industry. “We’re very serious about this, and have the full backing of our seal casinos. Knowingly allowing or enticing under-age or problem gamblers to play is morally wrong, and once the regulations have been implemented the independent accounting firms on our Audit Panel will be paying particular attention to the consistent application of these rules by seal casinos,” he said.